The Afghan Hound is one of the most ancient breed of dogs and originated in the Sinai Peninsula in Egypt and was also pictured in the caves of northern Afghanistan more than 4000 years ago. It was used to hunt a variety of game including deer, goats, gazelles, snow leopards and wolves as well as working as a guard dog. The breed was kept pure for centuries and is said to have the least genetic divergence from the wolf in some studies. This resulted from limited breeding as its exportation was always prohibited. Once the Afghan Hound reached Europe and America their striking features made them sought luxurious pets and show dogs. This tall breed dog has a fine, single layer coat which protected them against temperature extremes in their native land. Their coat is high maintenance and requires regular grooming. An extremely speedy and agile runner, the Afghan is a sighthound, which means it hunts by sight. These dogs have a variety of temperaments depending on breeding hence assessment of their parents is critical. Average lifespan is 12 -14 years. Necrotic myelopathy – Loss of insulating material from around the spinal cord which results in paralysis. The Afghan Hound is particularly prone to this problem. Dilated Cardiomyopathy – Poor contractility of the heart muscle leads to arrhythmias and congestive heart failure. Cataract – Cloudy vision as a result of an abnormal opacity in the lens, this can lead to total blindness if not treated early. Demodicosis—Parasitic mange resulting in loss of hair, itching, reddening and infected skin. 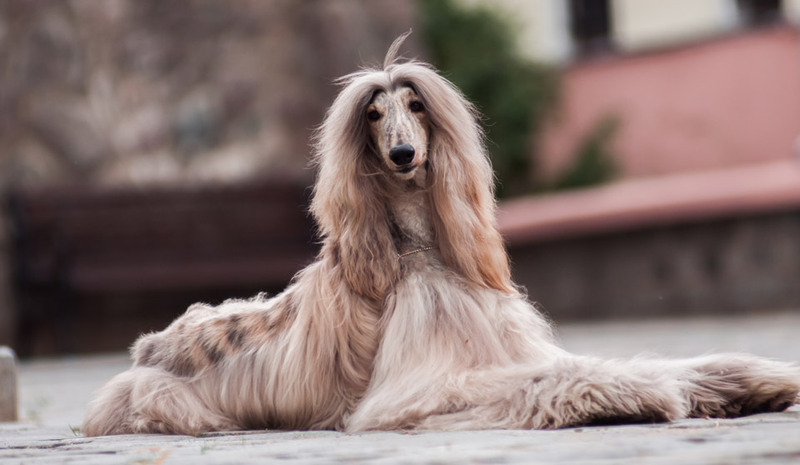 Looking for Afghan Hound insurance?